Palm Beach Gardens ER is open and caring for patients. 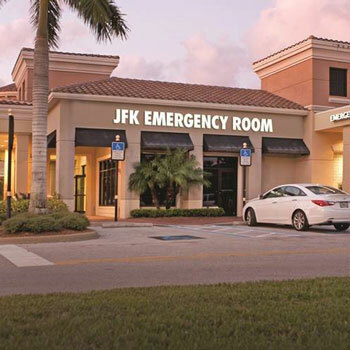 JFK Emergency Services in Palm Beach Gardens is committed to delivering comprehensive emergency medical services to the residences of Northern Palm Beach County. We are located on PGA Blvd, just west of Military Trail in the Midtown shopping center. We are adjacent to The Borland Center and Palm Beach Community Church.